Qi 1.2 wireless allows fast charging of up to 10W. 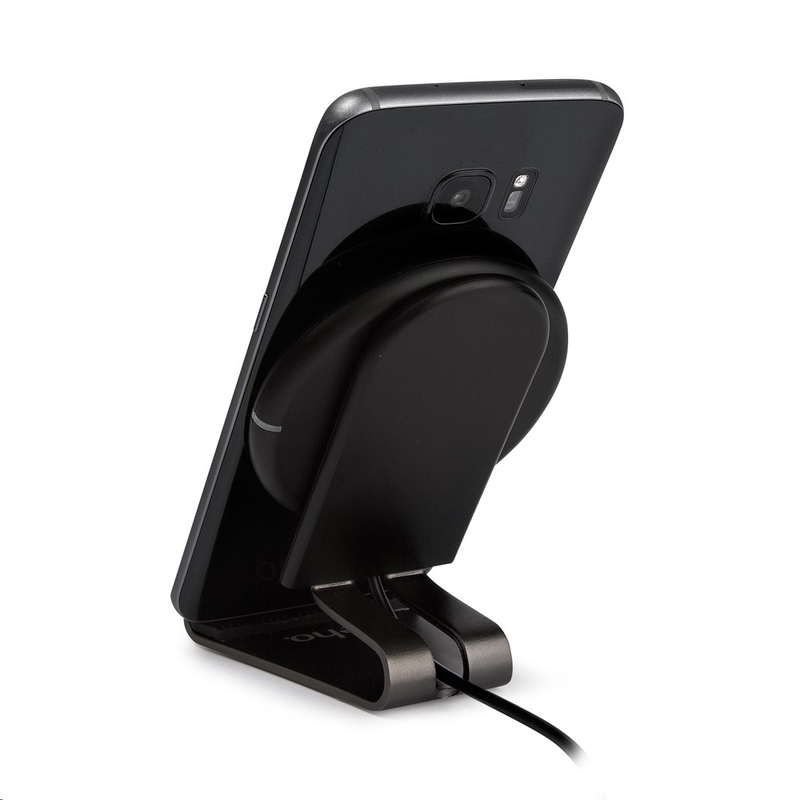 Qi-Certified wireless charging stand charges all Qi enabled devices. The optional/removable charging non-slip base prevents devices moving around and the 1.4m USB cable enables the device to be positioned in a number of convenient locations. Compatible with smartphones such as Samsung Galaxy S9/S8/S7/ S7 Edge/S6 Edge+/Note 5, iPhone X, iPhone 8, Nexus 5/6/7. Superior build quality and stylish UK design that conforms to all safety marks such as CE, RoHS, and EMC. 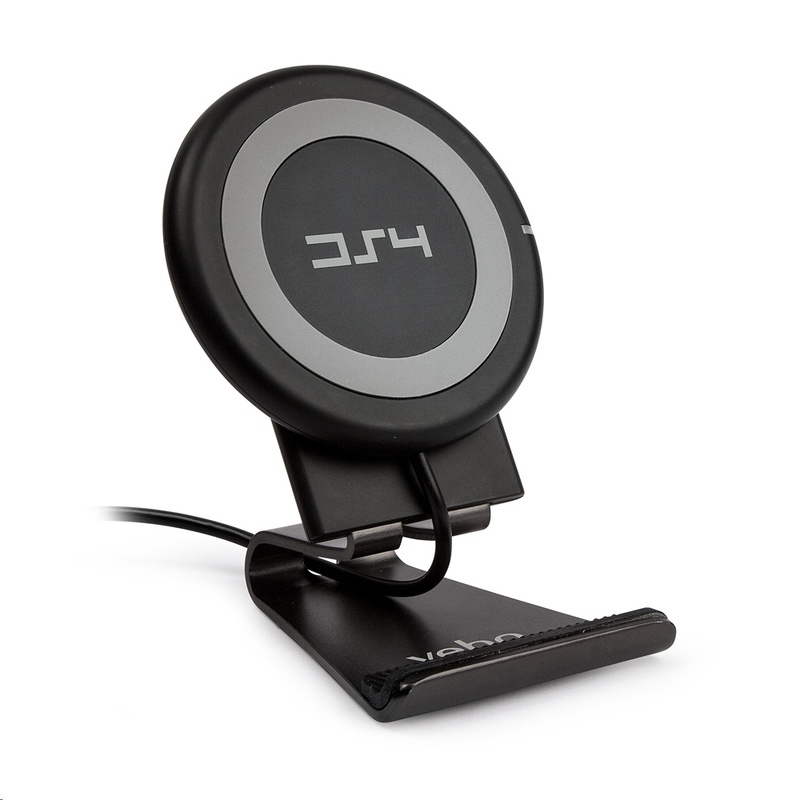 Introducing the DS-4 wireless charging pad from Veho. 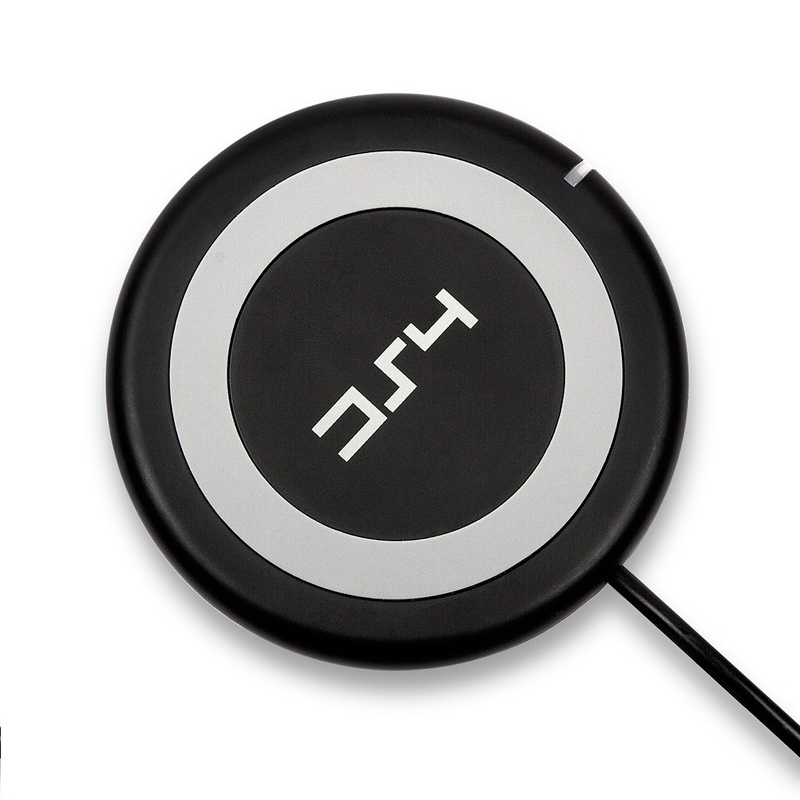 Our DS-4 possesses a charging pad which uses Qi 1.2 wireless charging technology. The DS-4 was designed for wireless charging phones such as the Samsung Galaxy S9/S8/S7 and the iPhone X/8. No more tangled wires and lost cables, the Veho DS-4 is the perfect wireless charging stand for your progression in to the wireless charging world. 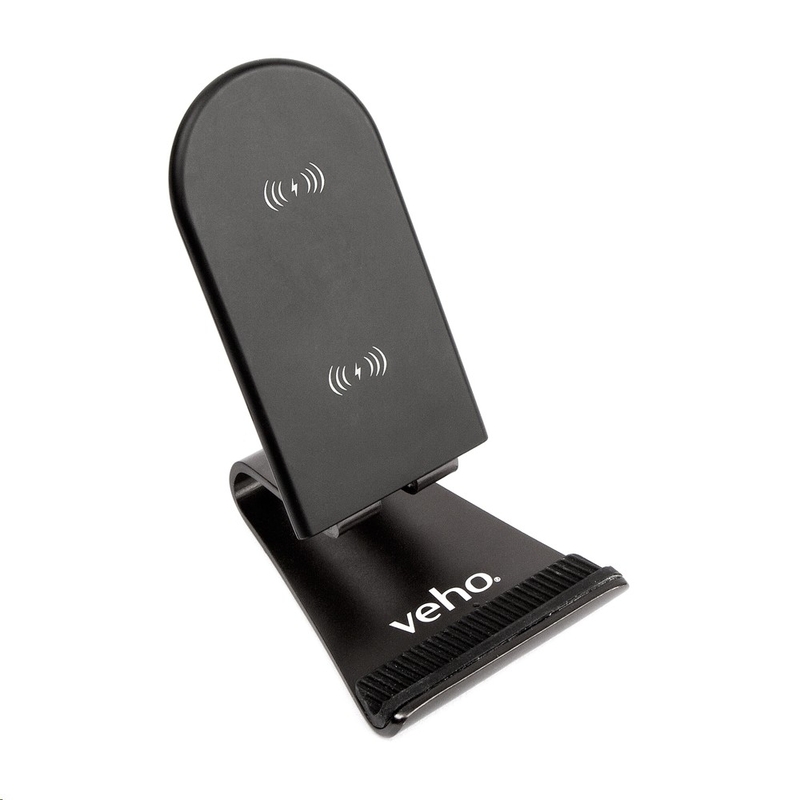 Our Veho DS-4 charging stand can charge up to twice as fast as a Qi 1.1 device. Qi 1.2 technology enables our DS-4 to charge at a maximum of 10W with selected phones such as the Samsung Galaxy S9, S9+, S8, S8+ and S7, whilst Apple's iPhone X and iPhone 8/8+ models will be charged as fast as 7.5W. The DS-4 provides high efficiency charging for your Smartphones, ultimately saving you time. Certified by CE, FCC and WPC (wireless protection consortium), the UK Designed Veho DS-4 reaches all of the required safety standards to ensure that your devices not only charge efficiently, but also safely. Built in with overcurrent, over-temperature, over-voltage and short circuit protection, the DS-4 can effectively prevent you away from any potential dangers that could be encountered with other wireless charging devices. With a removable charging stand that has 2 magnetic points, your devices can be charged both vertically and horizontally whilst the screen faces you, as well as led down with the charging stand removed. 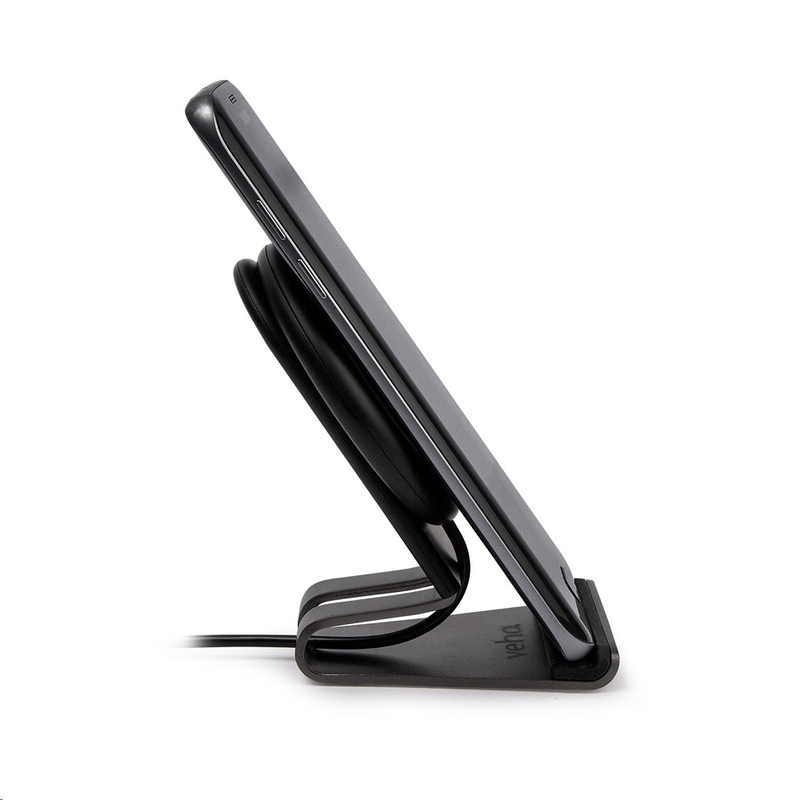 By using the stand holder, the DS-4 can be operated whilst charging as the phone sits up vertically, perfect for using by your bedside or in an office. The non-slip silicone base enables your device to stay secure whilst it is charging, and also makes operating it whilst charging significantly easier. The DS-4 is a lightweight, sleek and modern design making it practical for day to day use. It can be carried in your pocket and taken back and forth from your home and office, making sure your phone always has charge. The status of your devices charging can be seen without checking the phone, as an LED indicator on the DS-4 shows the status of charging for your device. The DS-4 also possesses a wide charging area, adding convenience as you don't have to spend time placing your device in a precise position in order to charge. * We recommend using a 2A USB adapter for best results, rather than using a USB port on a PC or laptop as this will cause your device to charge very slowly. Samsung® and Samsung Galaxy® are registered trademarks of Samsung inc.
Apple®, iPhone®, iPod® and iPad® are registered trademarks of Apple Inc. Does the job really well. It is very fast charging my Samsung S8! Works with my iPhone X and fast charging.